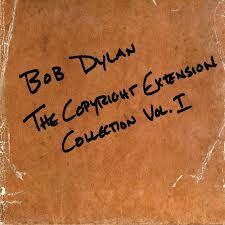 Born out of a new loophole in European copyright law, which opens unreleased recorded music to the public domain after 50 years, Bob Dylan’s new four-disc set, creatively dubbed, The Copyright Extension Collection, is sure to please avid Dylanites and those fans who appreciate a bootleg on its musical merits over its rarity. Rare these tracks will certainly be: for the time being, only about 100 physical copies were scattered among record outlets in Europe and the UK, though the tracks are sure to proliferate on the online downloading sphere, where they are also available for purchase. The biggest draw of these tracks is their crystal-clear production – a rarity for bootlegs; one usually assumes that the ancient historical period of these recordings would be matched by an equally scratchy, archaic recording device. Indeed, these recordings come to us like the musical equivalent of an aging photograph – a relic of a bygone era that resonates that ineffable warmth we call nostalgia. Just as we carry with us all the masks we wore in our pasts, these recordings are proof that the sounds of Dylan’s past would inform his song choice in style, even as he lapsed from style to style and persona to persona. It’s neat to see Dylan performing markedly different versions of songs that would sprout up later in his career. “Ain’t No More Cain” appears here in two equally plaintive, but less sparse versions than on Basement Tapes. Even “Corrina, Corrina,” which Dylan recorded for Freewheelin’ no more than two years after the version included here, sounds much more deliberate and direct than the laid-back mood-shifter on the studio album. The New York Times writer Allan Kozinn’s comment that the songs “sound notably clearer than Freewheelin’ itself” is no exaggeration. Avid Dylan fans can only hope that other tunes might escape from under the cracks in coming years so that Sony can release a well-mixed version to our heart’s content and ears’ salvation.